Easily record the screen of your iPhone, iPad, or iPod. Take full control of your phone from your computer. dr.fone is the world's first one providing iOS data recovery software and Android data recovery, which has helped lots of people. With 10+ years of experience in providing people top-ranked software and services, Wondershare dr.fone toolkit has been dedicated to serve 50,000,000+ users. Wondersharers have and will never forget the promises and keep helping customers enjoy wonderful digital lives. With 10+ years of experience in providing people top-ranked software and services, Wondershare dr.fone toolkit has been dedicated to serve 50 000 000+ users. 500+ reviews from media sites for dr.fone toolkit. dr.fone toolkit got over 500 reviews and recommendations from YouTube, PCWorld, Lifehack, PC-Tablet, softonic, AndroidPIT, PCWELT, TopTenREVIEWS and more. dr.fone toolkit won't keep, modify or leak any data on your device or in the backup file. We take your personal data and account seriously. You're always the only person who can access it. dr.fone toolkit provide you a easy, fast and legal way to recover your data, fix your iOS system, unlock Android screen, unlock your SIM lock and more. You can finish the whole operation even with no tutorial. Work greatly with most of Android and iOS device. 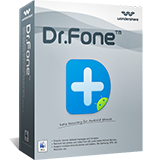 dr.fone can support all models of iPhone, iPad and iPod touch. And we support over 7000 Android devices. Yes, it's completely safe. dr.fone toolkit can't keep any of your data or get your phone connected to others at any time without your permission..
dr.fone can support all models of iPhone, iPad and iPod touch. And also, we support over 7000 Android devices. And you are always welcome to download the free trial versions to test first.